Notice any brown curling leaves in your Vinca groundcover? We’ve spotted our first leaf roller caterpillar of the season. If you unfold the leaves you’ll find either sawdust-like frass (insect droppings), a small caterpillar or the webbing-like pupa. The caterpillars feed on the leaves, creating holes and causing the leaf to turn brown and die. 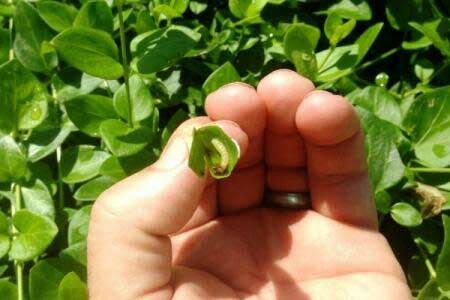 Leaf rollers can cause major damage to Vinca in late summer, especially with heavy infestations. The best practice is to treat the pests now, before they become a bigger problem. Soils Alive can provide organic treatments to stop leaf roller infestations. Give us a call today at 972.272.9211 for aconsultation or contact us online!